Junior swimmer Rebecca Michaels was recognized by NJ.com for having the top performance in the 100 backstroke among junior girls last week. Michaels won the event in a dual meet against The Hun School with a blazing fast time of 1:02.56. She also placed second in the 200 individual medley with a personal best time of 2:16.97. The girls’ swim team is currently 4-1 in its first varsity season and Michaels has been a huge reason for this success. 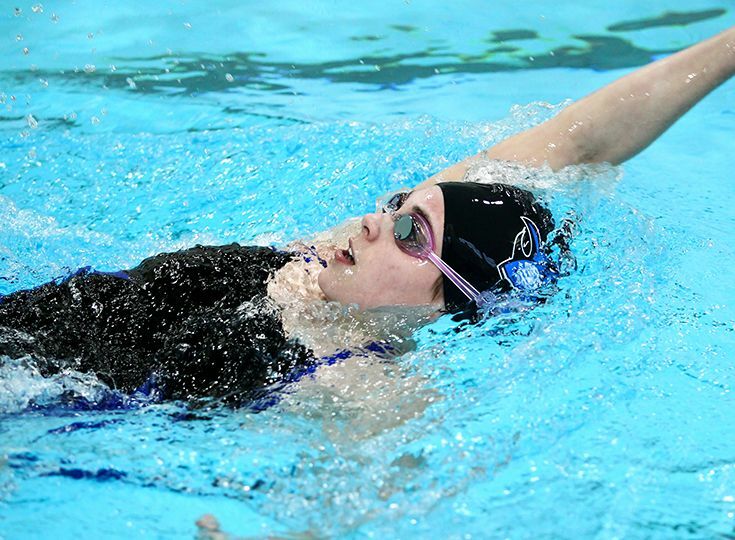 She has won seven of her eight individual races and anchors all of the Knights’ freestyle relays.